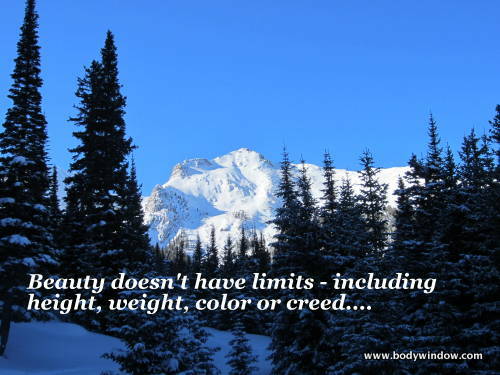 To my nature photos, I have added inspirational quotes to make them inspirational photos. I hope you enjoy what in nature inspires me. 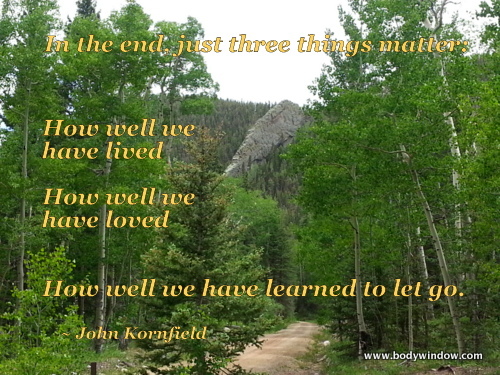 I take my photos of the mountains, wildflowers and lakes, and find quotes that equally match what it in my heart. I hope you enjoy them! If one speaks to your heart, save it to your desktop. Or Pin it on your board. Or share in your Facebook feed. 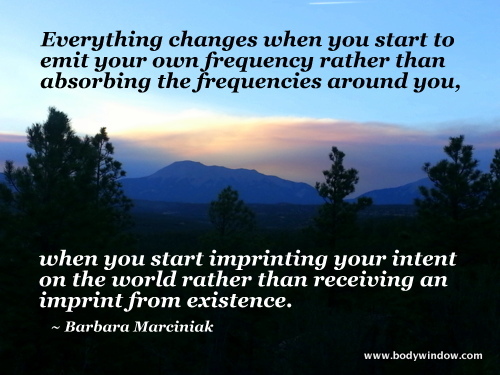 Keep it in YOUR heart and join me in changing the consciousness of the world! The inspirational quotes that do not contain quotation marks are my own. If you quote the text in them, please give me, Elle Bieling, credit. I thank you for this. The inspirational quotes that DO contain quotation marks, are those of great teachers. Please remember to reference their work as well. I love the mountain wildflowers, as my readers know. I am constantly photographing them and learning to identify most of them as I study my wildflower book. This photo and saying go together perfectly, as this wildflower is called a Shooting Star Wildflower. YOU are a shooting star if you keep this idea of "being" and "becoming" in your mind at all times. 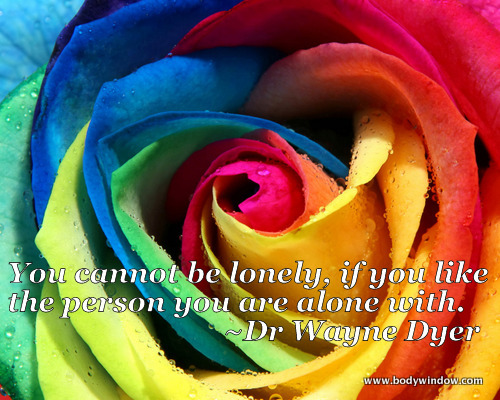 Be kind to yourself and learn to love yourself, just as you are. This is the "being" part. 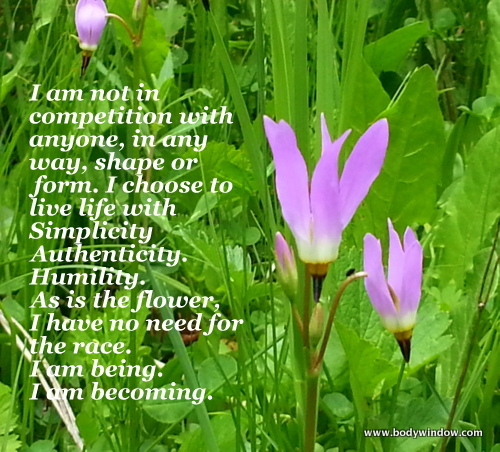 The "I am enough" affirmation. Then, also be kind to yourself by resting in the knowledge that we are all human and make mistakes. 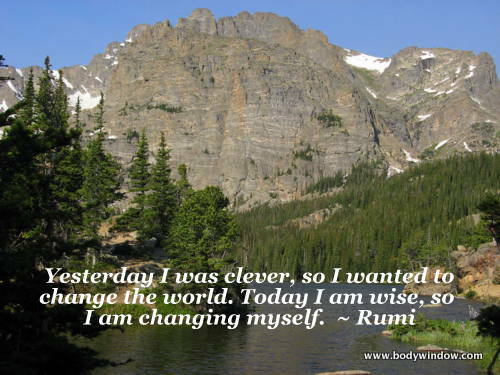 Forgive yourself, and learn that change and growth are constant, universal truths. So, learn to keep on "becoming" over and over again as you grow and change for the better! YOU truly are a Shooting Star! 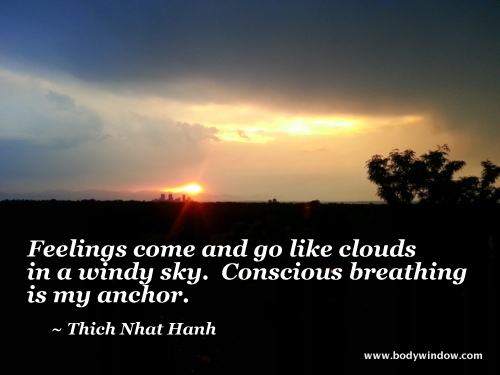 What could be more lovely, and more inspirational than fluffy clouds at sunset? These brilliant, red Desert Paintbrush were growing along the Devil's Canyon Trail in the McInnis Canyon Natural Preservation Area of Western Colorado. This area is high desert, and the beauty of this wildflower in the spring was phenomenal, despite the dry, sandy soil around it. 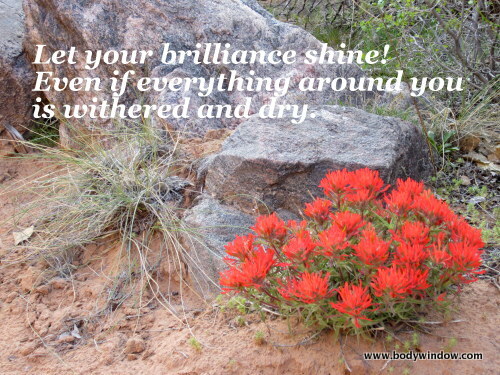 Love the Desert Paintbrush Wildflower. On the same Devil's Canyon Trail we traveled by a wash that had more beautiful wildflowers called Purple Loco. These Purple Loco Wildflowers were my inspiration for this quote. On our hike up Vestal Peak, we arrived at this beaver pond. The distance peaks, on the left is Vestal Peak and the prominent one on the right is Arrow Peak. The water in this pond was very green from all the algae in it. It was the most lovely site to behold, the looming Peaks above the pond. In the Spanish Peak area of Southern Colorado the West Peak and the East Peak are former volcanoes. Along the roads and trails, one can see the remains of the lava, that flowed into cracks in the earth. Over time the softer ground eroded away, leaving the lava rising up like walls. These "Dikes" can be seen as high rock walls. You can see many more of these natural dikes on the Apishapa Trail, that is in this very area. Rainbows are always inspirational to me! 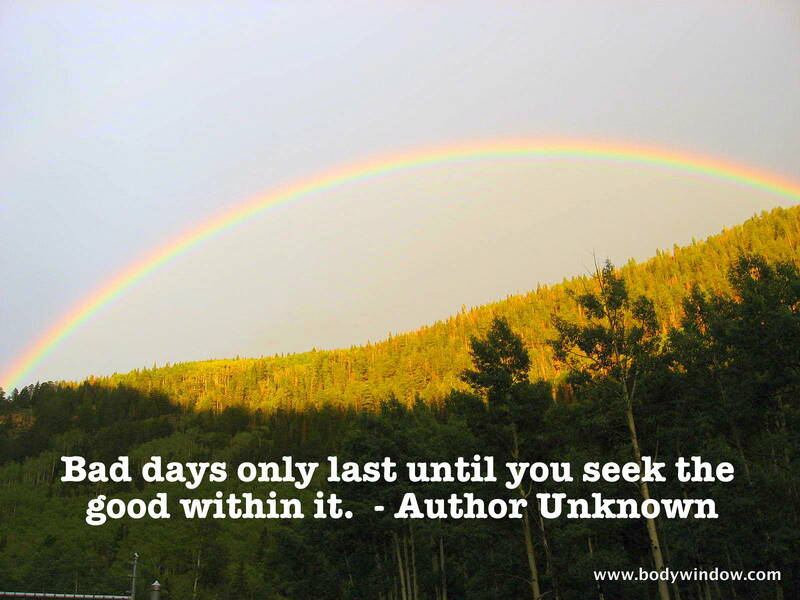 After every storm, there is always a rainbow, if you know where to look! While I didn't create this photo, as unnatural as it is, it is still a great backdrop for an inspirational quote. With all the cultural diversity, sexuality orientation and non-discrimation issues of our time, it is long past time that we love ourselves as we are. This Rainbow Rose represents our diversity and our Unity as well. 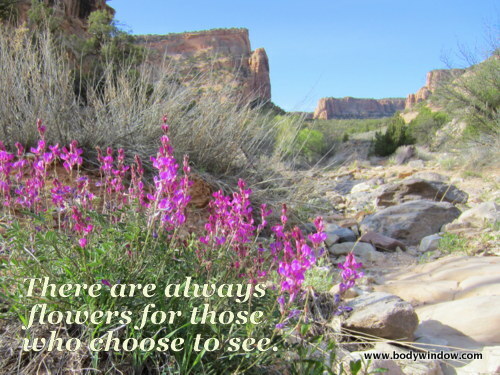 My trip to the Colorado National Monument, a high mesa with gorgeous formations, inspired this inspirational photo. Watching the sunset play on the formations, I was struck by how these rocks looked like buildings. In fact many of the formations are named after buildings. The inspirational saying I use here, fits this photo perfectly, don't you think! Once in awhile, the moon rises in perfect symphony with the sunset. On this rare occasion, I was lucky enough to be present. The moon was even full! As the colors of the clouds turned golden, the moon rise in the midst. 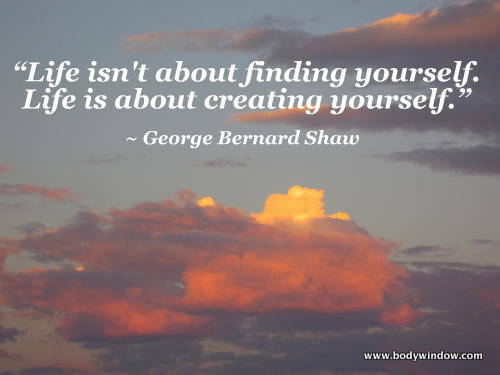 What a lovely inspirational life quote this scene afforded me! Heading up the Glacier Gorge Trail in Rocky Mountain National Park, the trail eventually leads to the Sky Pond Trail and the lake of the same name. The views around Sky Pond are dramatic and include Taylor Peak, shown here. Hiking, exploring and getting away from it all definitely changes you! The skyline of Denver, Colorado can be seen from my apartment home. I spend many a morning and evening gazing at the sunrise and sunset. This was a particularly stormy summer evening. Just before the sun sank below the horizon, it lit up a hole in the sky. 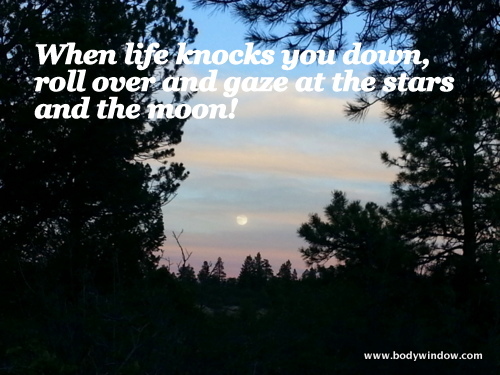 Inspirational quotes abound at sunset - for me anyway! The Spanish Peaks in Southern Colorado are the Northern view from my Southern Colorado Cabin-Home. This sunset was enhanced by the smoke of the wildfires that summer, burning on the East Peak. Here is the West Spanish Peak on the left, and the East Spanish Peak on the right, framing the sunset vista. On the West Spanish Peak Trail in Southern Colorado, as you approach treeline, the pine trees become gnarled, beaten and worn by the weather. We approached this trail from the Apishapa Trail. 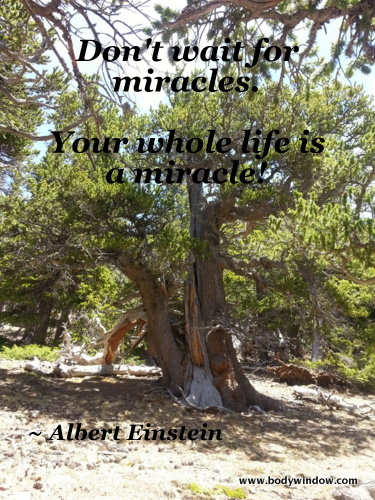 These Bristlecone Pines ability to survive despite the surroundings forms this inspirational life quote. 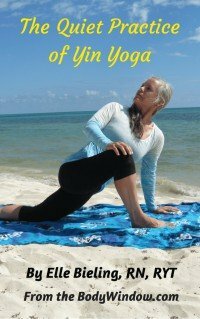 If you have enjoyed these beautiful photos with the inspirational quotes, please share them with all your friends! And don't forget to "like" me on Facebook, where I post many more inspirational photos, more healing thoughts and inspirational articles everyday! May your days be filled with inspiration!